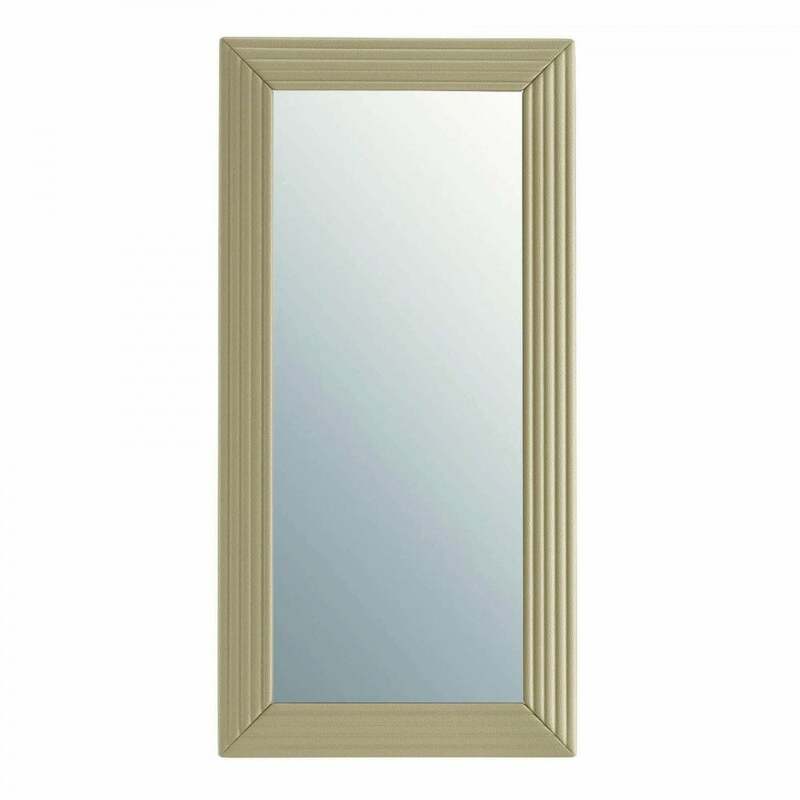 Ideal for a hallway or dressing room, the Tao Mirror by Daytona is the perfect full-length mirror for a glamorous interior scheme. The rectangular frame is hand-crafted from solid maple wood and upholstered in grosgrain leather with Capitonné detailing. The frame is then finished with a brushed gloss lacquer for a sleek look. Position portrait or landscape depending on your desired scheme and room proportions. Prop up against a wall in your dressing room or hallway for a relaxed bohemian vibe. The Tao Mirror will give the illusion of space by reflecting and radiating light around a small setting. Style with 1930’s hues of buff, coffee and dusty pink as a nod to Hollywood the art deco era.